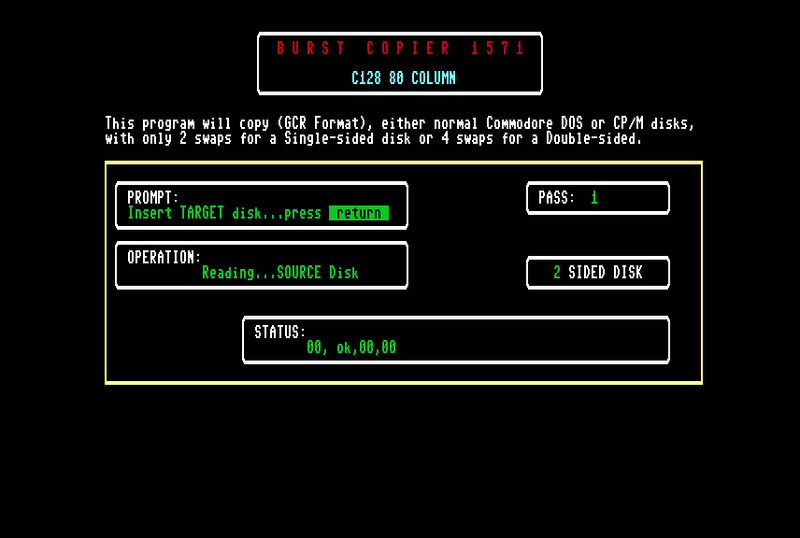 Burstcopy 1571 is an 80-column Commodore 128 GCR disk copier. You can copy normal Commodore DOS or CP/M disks. Single sided disks take 2 swaps and double sided 4 swaps.